School-A-Thon was founded with the mission of taking fundraising events from bland to grand. 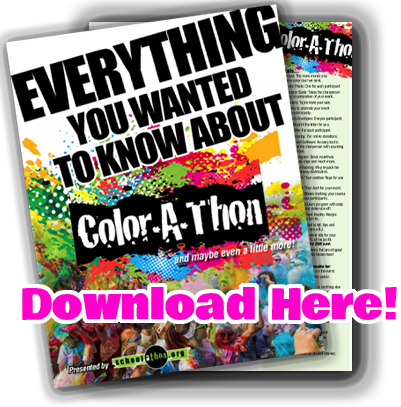 Color-A-Thon is a color-run program giving schools and organizations a fun, interactive alternative to traditional, product fundraisers. Maximum Results – Minimal Effort! 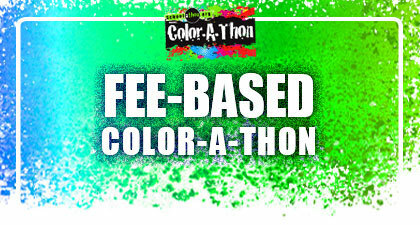 The Color-A-Thon Donation-Based Event is great for elementary and middle schools. This program provides a personalized pledge website allowing each student to add a photo and message to their patrons. 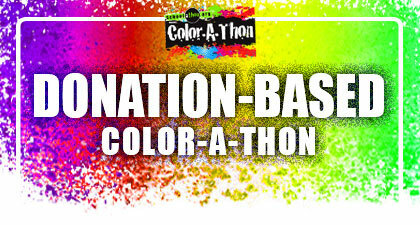 A Fun + Simplified Color Run! Money Management Software + More! Run Your Own Using Our Tools! 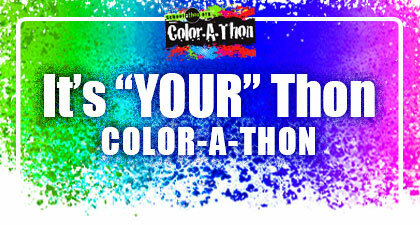 Happy running your own “thon” fundraiser? Keep your spell-a-thon, walk-a-thon or whatever-thon, while using our online tools and keeping up to 90 percent profit! Perfect for schools who want to raise the bar (and the profit) on their current “thon” fundraiser. Optional Collection Envelopes + More!